An aerial view of the studio entrance at Hollywood BLVD. on special evenings shows Mickey as The Sorcerer’s Apprentice ready to dazzle guests with fireworks, music and excitement. 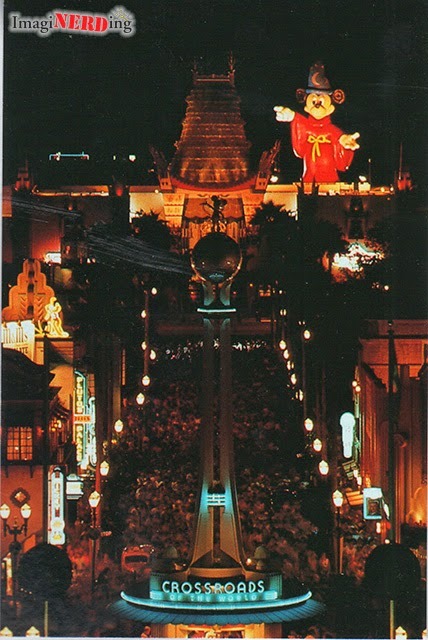 Another great postcard with a view of a very crowded Hollywood BLVD. Did you ever see Sorcery in the Sky during the first few years of the park? Press Release: D23 Celebrates Issue 23!